Aer’s single focus is making durable bags and accessories with clean aesthetics to help you navigate each day, whether commuting or traveling. Their Duffel Pack is a great example, an ideal gym/work bag equally suitable for a weekend away. Take a rare 30% off with code SPIN30 and grab one for $105 plus free shipping. Aer’s Duffel Pack is designed with the gym goer, commuter, and traveler in mind, utilizing four distinct compartments for streamlined organization. The main compartment is designed to store clothes or any gym accessories, sealed with a YKK waterproof zipper to keep your gear dry. The ventilated shoe pocket is also water resistant which helps reduce odor, fitting up to a size 13 men’s shoe. 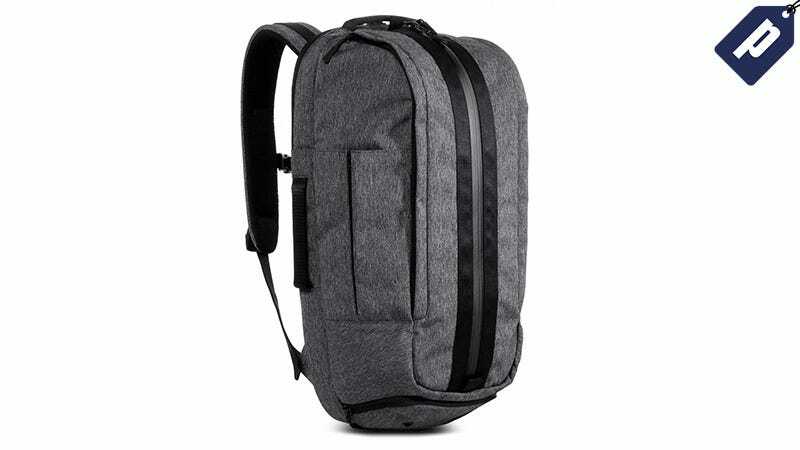 There are two quick access side pockets for your phone, wallet, headphones, or other small essentials, plus a padded back compartment for your laptop. The Duffel Pack is made of 900D heathered polyester with a padded mesh back and has dimensions of 22" x 12" x 7" with a 24L volume. Take 30% off the Aer Duffel Pack with code SPIN30 and keep organized for $105, plus free shipping.